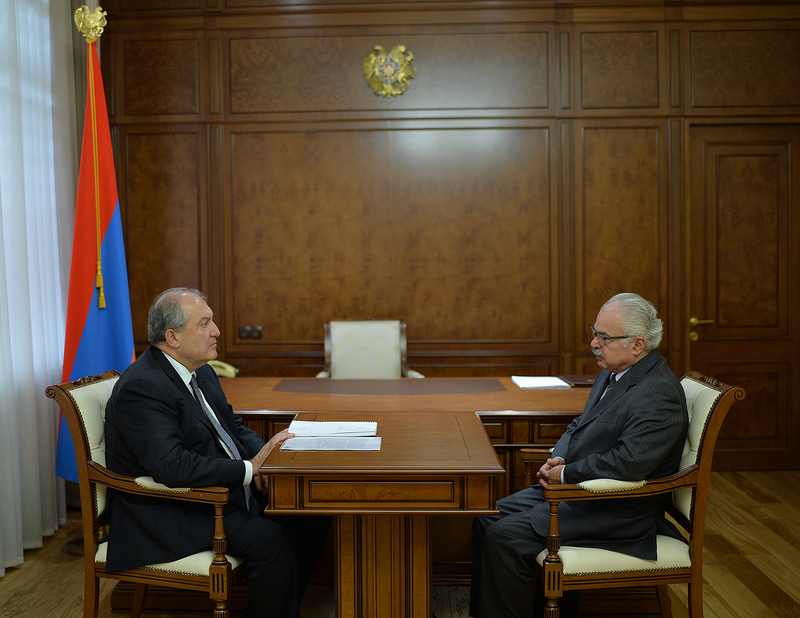 President Armen Sarkissian received today the Chairman of the Hayastan All-Armenian Fund French Affiliate Bedros Terzian who has been appointed the Acting Executive Director of the Fund. At the meeting, the parties exchanged views on the pending administrative issues and future activities of the Fund. 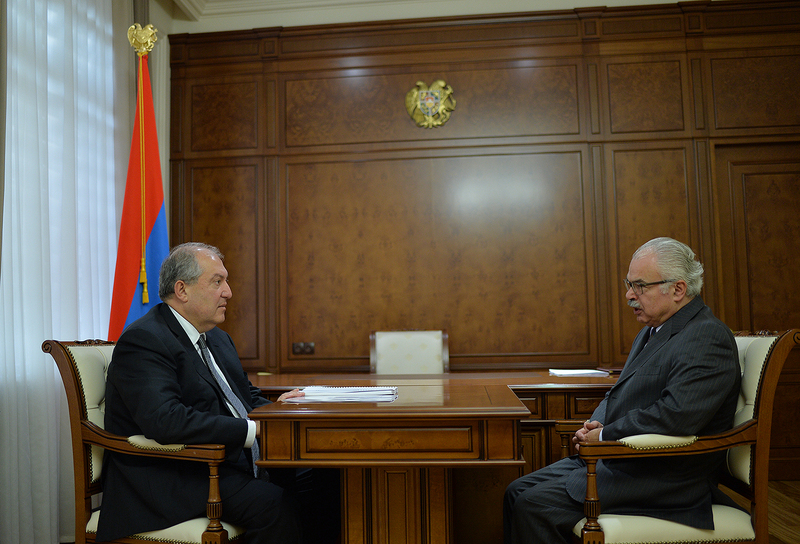 They expressed hope that through joint efforts the existing problems will be solved and benevolent programs in Armenia and Artsakh will continue.